Are you organising your nights out in Chesterfield for yourself and/or a group of friends? Chesterfield Minibus Hire is ready to be at your service, with an executive vehicle and a highly qualified chauffer. We are the people to help you enjoy your night outings in the city, without fear of getting lost or losing your things. From Vibe Bar to Beach and Groove, The Burlington, Aruba amd Neptune Beer Emporium, we got you! We promise to take care of everyone in the group, from the time of pick-up to the end of the night. When you feel like going to another venue or getting something to eat, get back to the minibus and our chauffeur will take you. Our chauffeurs are experienced enough to make certain that your night out is safe and fun. A night out is there to be enjoyed, with little or no hassles. 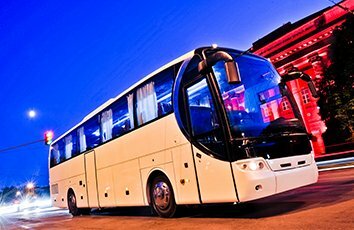 Chesterfield Minibus Hire is the only transfer company in the region, that has upheld flawless nights out transfers record for more than ten years. Once you book with us, we take over all the worrying and all you are required to do is show up and have a memorable night out.